So you are leaving Singapore, whether it is off home or off to your next posting and the last thing you want to think about is selling a used car in Singapore! Selling a used car anywhere in the world can be tough as you need to make yourself available for enquiries, then viewings, then enter into the negotiation process and then finally a sale, not to mention the worrying prospect of these days of whether the cheque you are being paid with is going to clear in time for your departure etc. When selling a used car in Singapore it is worth considering the following first, Do you have the COE log card & other records for the vehicle, do you have any finance over the vehicle, do you have a rough idea of what you want for the vehicle & what the market is asking, what additional features does the vehicle have that will make it attractive to others, do you know who is likely to be interested? What do you need to complete the sale? When selling a used car in Singapore it is best to have as much paperwork as possible to assist likely buyers, most will want to see the COE log card for the vehicle which details the original COE paid, OMV, PARF value & all relevant dates for the vehicle. Should you have finance for the vehicle you will need to obtain a written payout value including dates this must be paid and processing time? In most cases you may need to pay the loan out yourself to ensure it has clear title for the new owner. Others will be patient and will wait the have the cheque paid directly to the financier and wait the allotted clearance time. When selling a used car in Singapore it is suggested the best payment is a cashier’s cheque – this ensures all funds are cleared at time of sale and relieves any stress of cheques not clearing. Do you research when selling your used car in Singapore – look on the internet at look at comparable vehicles including checking that the OMV’s, number of owners and registration dates are similar for a more accurate comparison. Be aware if you vehicle is a parallel import or not (as these generally will attract a lower asking price in the market) and subsequently a direct comparison cannot be made to agents vehicles. Be sure to highlight the additional features your vehicle has such as GPS, DVD players, Sunroof etc whilst this will not necessarily get you a higher price when selling a used car in Singapore it may just make your vehicle stand out a little from the crowd. Please be aware the asking price of vehicles is not always what is achieved, ensure you have some room for negotiation. If you are looking at selling a used car in Singapore it is best to know your market, which is who may be interested and advertise accordingly. Think outside the square, using notice boards, social media and online sales sites are a good starting point. 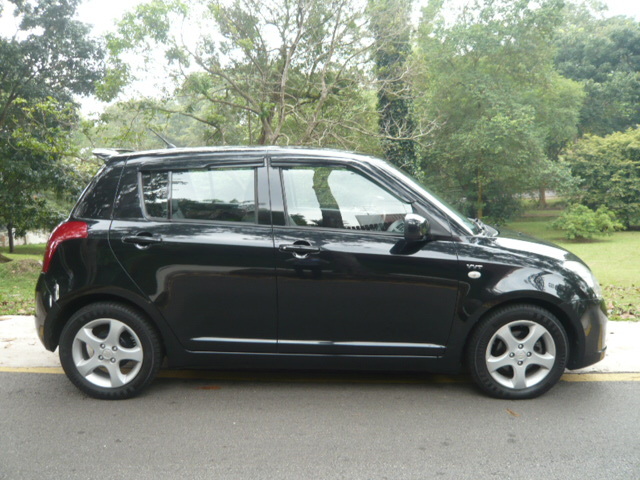 Lastly it is best to know what is needed to complete the sale when selling a used car in Singapore. Once you have secured a buyer you will need to ensure the transfer in complete (particularly worst case as you do not want to incur someone else’s traffic infringements). The other party will need to take their NRIC and evidence of insurance to the LTA to affect the transfer – you will either need to accompany them or pre-arrange a pin from the LTA so that someone else can attend in your place. Presto Expat Motoring Consultancy Pte Ltd can assist you selling a used car in Singapore, they purchase vehicles directly, the process fast & seamless – Call them today for a no obligation valuation +65 6732 7377.